GALION — The Galion Elementary Parent-Teacher Organization (PTO) sponsored a special performance of “Otherwise known as Sheila the Great” from the ArtsPower Theatre at Galion Intermediate School on March 16. The one-act musical, based on ta book by Judy Blume, was presented to third- through fifth-graders thanks to the recommendation of an Intermediate School teacher who discovered the ArtsPower National Traveling Theatre during the summer of 2017. ArtsPower was founded in 1985 by identical twin brothers Gary and Mark Blackman, who were jazz musicians and resident artists with a commitment to educating children about jazz music. The mission of ArtsPower is to bring inspiring theatre to America’s children that feeds their intellect while enhancing the cultural life of their communities, giving children and parents hope, and providing them with powerful examples of how to be kindhearted and fair-minded members of society. The Galion Elementary Parent-Teacher Organization holds meetings the first Tuesday of every month and provides funding for activities both in and out of the classroom for students. 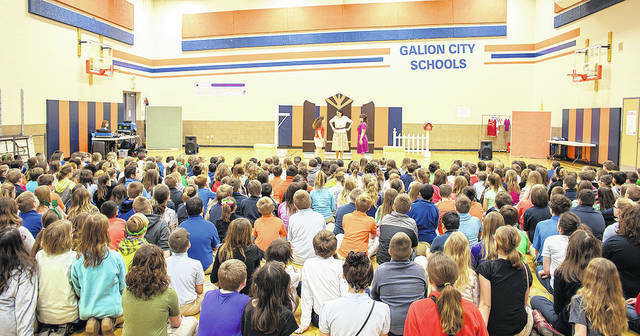 Courtesy photo The Galion Primary/Intermediate PTO sponsored the ArtsPower Theatre of performance of “Otherwise known as Sheila the Great” at the Galion Intermediate School Friday, March 16.
https://www.galioninquirer.com/wp-content/uploads/sites/38/2018/03/web1_arts-theater.jpgCourtesy photo The Galion Primary/Intermediate PTO sponsored the ArtsPower Theatre of performance of “Otherwise known as Sheila the Great” at the Galion Intermediate School Friday, March 16.